I found this tag and couldn’t resist. I mean, it’s like it was made for me! This tag was started by Not Just Romance Novels and Romance Queen of Booktube. In my late teens. Up until then, my favourite genre was fantasy. I loved Anne McCaffrey in particular. If you could pick one hero to meet from your favourite romance novels, who would it be and why? Hmm… This is different from ‘who is your favourite hero’. It’s one thing to enjoy a character as the hero in someone else’s story, but another to actually want to meet him. I think I’d like to meet Tristan Lavelle from The World As He Sees It by A M Arthur. He fascinates me. He’s such an interesting character and I think he’d be fun, not intimidating. I like authors who can make me forget that I’m reading a book. 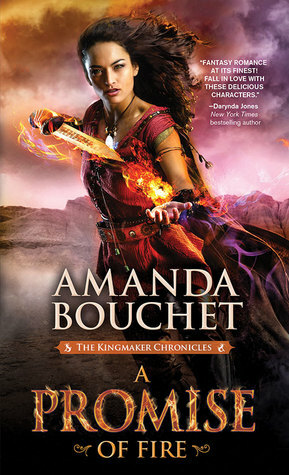 Captivating action, or intriguing characters. 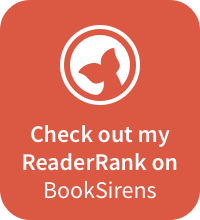 Authors who I’ve read multiple times and ranked highly include A M Arthur, Maya Banks, Patricia Briggs, Mercy Celeste, Dianne Duvall, Barbara Elsborg, Tammy Falkner, Andrew Grey, Hannah Howell, Sloane Kennedy, Tempeste O’Riley, Jaime Reese, R J Scott and Nalini Singh. What is a favourite romance novel to re-read? Oh, I did this for #T5W in favourites I’d like to revisit. But the ones I’ve re-read the most are probably Morganna by Jackie Ivie and Whispers In The Dark by Maya Banks. Well that very much depends on what genre they normally read. 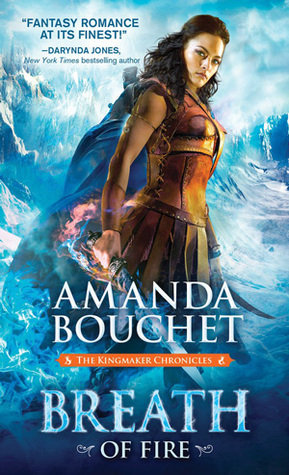 If they were a fantasy reader, I’d definitely recommend Amanda Bouchet’s Kingmaker trilogy. 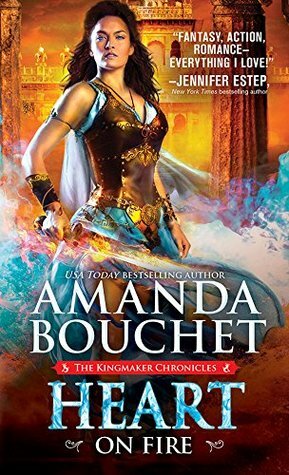 It’s a fabulous fantasy series, but with a wonderful romance wound through it. Which is your favourite – contemporary, suspense or historical, and why? Hmm, there are far more subgenres of romance than just those three. I like to read a variety. I started with mostly historical, but these days the majority that I read are contemporary. I do like some suspense. I also like m/m books. I also like some military ones. Definitely fantasy and paranormal ones, including shapeshifters, healers, psychics and more. And sometimes a mixture! A romance novel can have more than one subgenre. Do you read romance novels? Let me know some of your favourite authors and subgenres. And feel free, of course, to do this tag in your own blog.